In today’s modern and competitive world everyone needs a large amount of money to fulfill their needs. But these are not fulfilled due to limited earnings and high expenses. Under these circumstances, a personal loan is the best option to avail a loan. Personal Loan is an unsecured debt offered by various banks at affordable interest rates. It is an unsecured loan in which person does not need to secure their assets as collateral. The loan can be availed easily without going into a lot of paperwork and documentation. * Interest rate can vary as per individual's portfolio. Get approved for loans up to INR 15 Lakh, depending on income and repayment capacity. 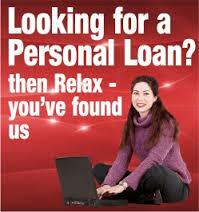 Personal loan can be used for any purpose like holiday, marriage expenses, house renovation, shopping and many more. Personal loans typically don’t require any guarantor or security. It requires only minimal documentation. Personal loans available for salaried and self employed both. The total loan amount plus the rate of interest is payable at a fixed equated monthly installment on a fixed date of repayment, either via account debit, post dated check or electronic clearing services.